It seems I have a thing for abandoned swing sets. Or they have a thing for me. Seeing a swing left dormant can be a sad thing. Used up, they're abandoned for more grown up things. Or maybe they're just a sign of life moving on. The first was along the road near Mount Watatic. On an old oak tree two rusty chains hang. The tree limb had grown around the chains, swallowing them from sight. The latest two are polar opposites. One is in Fitchburg. The swings are missing and grass grows around the playground. Not maintained, forgotten. And the latest is at Adams Point on Great Bay. 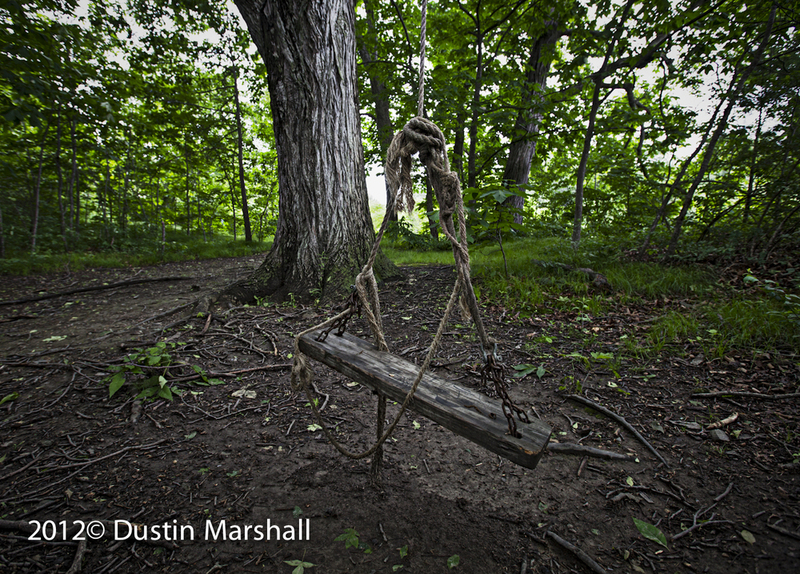 This swing hangs from a giant oak tree, just above the ground. Are oaks the preferred trees for swinging?